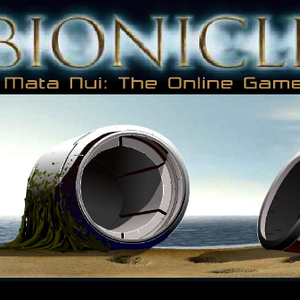 An attempt to dub the ever-popular Mata Nui Online Game. If anyone is interested I will require someone to play through the entirety of the game for footage. Taipu has a very deep voice, though it has a childlike enthusiasm when he's excited. If the Rahi attack the site, Traveler, stay near me. I will protect you. Onepu is my best friend in all of Onu-Koro. He is very smart and knows a lot about Ussal Crab racing and fighting Rahi. He is supposed to be digging, too, but he showed me how I can do both our digging at the same time. That's how smart he is! Are we to go on another adventure together? Kopeke speaks quite softly and is generally monotone. 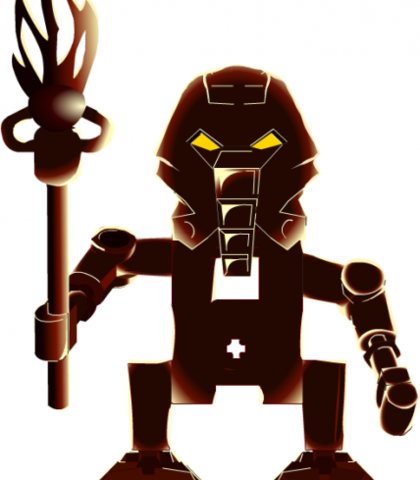 Wisdom is ever the burden of the Turaga. I do not expect it from you. Onepu's voice is deep and commanding. You there! Fetch those saddles! And we need more disks. Step to it! Onepu, at your service. I am the captain of the famous Onu-Koronan Ussalry regiment, Champion of Ussal racing, and special aide of Whenua, our great Turaga. May your crab ride swift and true! Sounds roughly like he did in the Mask of Light film. The Toa are much stronger than I! How can I be of any help to them? Will you join our company? Sounds like James Earl Jones. Captain, I am doing everything I can. No one wants to see the Protodermis run out. But Onu-Koro has many problems right now. 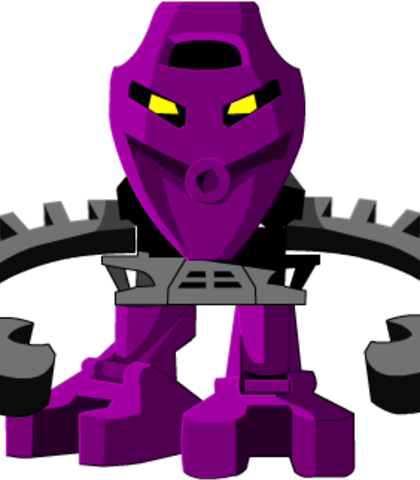 I am Whenua, Turaga of Onu-Koro. It is my job to keep things running smoothly around here. A hard task in these difficult times. Good luck in your travels, adventurer. May Onua protect you. Sounds somewhat like Master Roshi from Dragon Ball. Keep your voice down, traveler, and sing as you work. And hope Lewa comes to save us. His mask! Get his mask! Sounds roughly as he did in the Mask of Light film. 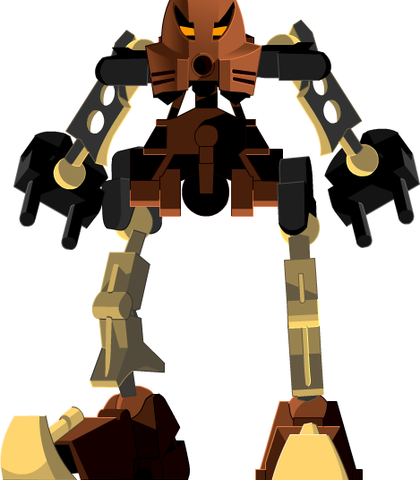 I have doubted you in the past, Tahu, but no more. I think I speak for all of us when I say that our only hope is to work together. So I cast my sword with yours, if you will have it. This is where we begin our final task. If any one of you question our choice, or doubt our chances if we work together, speak now! Where Wisdom and Valor fail, all that remains is faith. And it can can overcome all. Chronicler, it is your doom to remain here, and guard the Kini-Nui at all costs. This deed will be remembered as long as any remain to sing of it! Adventurer, the scorpion has blinded me for the moment. It will be some time before my sight returns! Tell me where to kick the ball, and together we can destroy the Nui-Jaga's nest! You are a cunning ally, friend, and brave. I hope that we shall meet again, someday. In truth it is said that great power can be found in small packages... and that aid can come from places least expected. And besides, we have few options. Deep and powerful, but intelligent. Hold! There is an intruder among us! But... what is this? This is a minor character. Go nuts. I'm the chief prospector for mine shaft 8. We dig for protodermis and stone here. Have you brought word from Whenua? Has he figured out how to get through this rock layer? Take care when traveling in the deep mines and tunnels; the Kofo-Jagas can appear at any time. Battling them takes special skill. Speaks in creepy monotone. Voice filters are acceptable for this role. Destroy me? You cannot destroy me. No more than you can destroy the sea, or the air. Or... the void. The people of this world are builders. But look into their hearts... and you will find that they also have the power to destroy. I am that power. I am destruction. And I WILL destroy you. You cannot destroy me, for I am nothing. Ahkmou is a smooth talker. Think used car salesman. Hello, stranger! Are you looking for a good Koli ball? Let me recommend the Comet, our most popular model. 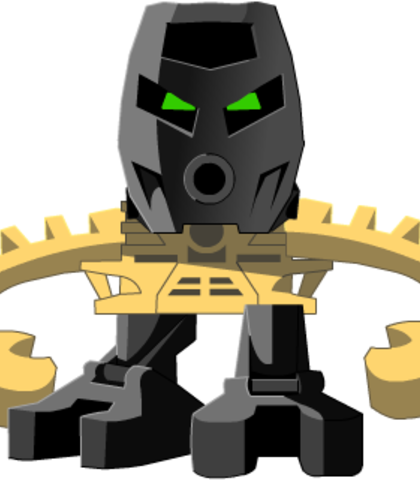 Our Comet balls are the best in Mata Nui. Everyone wants one! 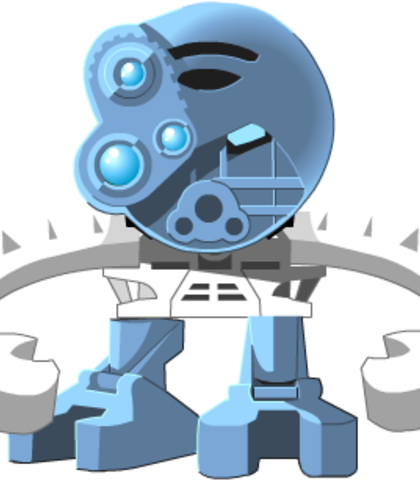 Don't be the only Matoran in Po-Koro without a comet! Howdy, traveler. Need a crab to Onu-Koro? Awful dark in there, but Puku knows the way. Puku's a retired racing crab, used to belong to none other than Onepu himself. Took the three titles with him. She's a bit long in the tooth now, but still fast! Sounds roughly as he does in Journey to One. (Disoriented) What... what's happening to me? My body... not my own... my mind... get out of MY MIND! 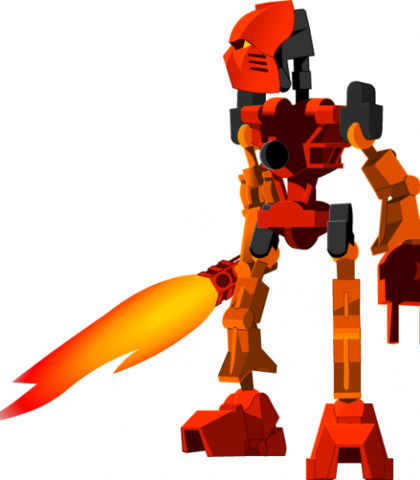 Wait, Tahu! Have you given no thought to our return? If the Rahi attack the temple while we are below, how can we escape? Wairuha speaks with a wise, calm voice. Spirit of Wisdom, hear me! I - am - Wairuha! We must face what evils are before us alone. I choose this road. You take the other. With luck we will come together again, at the gates of Mangaia! Wisdom only provides when Valor is in its service. 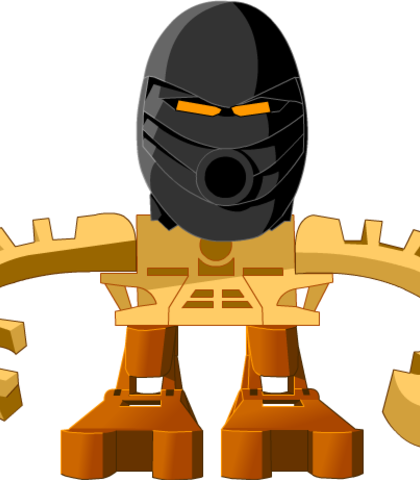 Akamai combines the baritone of Onua's voice with the boldness of Tahu and Pohatu. Spirit of Valor, hear me! I - am - Akamai! So, Wairuha, you are joined. Let us now choose a path and go into the darkness to face our destiny, be it good or ill. This is hardly the time for jokes. Have you forgotten your great deeds, and also the thing that drove you away from us? Chronicler, it is good of you to come. And thank you, Kapura, for fullfilling your mission so quickly. I see that you have indeed gained skill. This mission is vital. 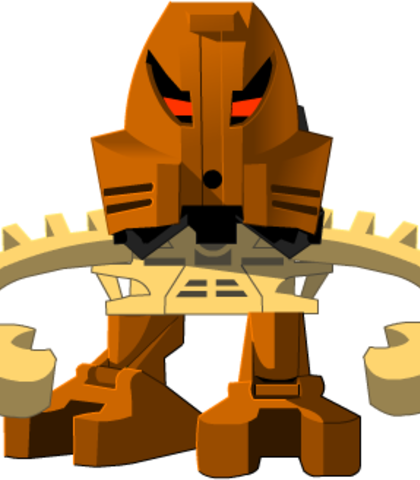 The Toa, and indeed all of Mata Nui, need you now. Huki has two voices for this project: Strong and healthy, and violently ill. The former is fairly typical as far as athletic characters go. (Reinvigorated) I will soon be fit enough to return to Koli, and to Maku. If you see her in your travels, tell her I am well! 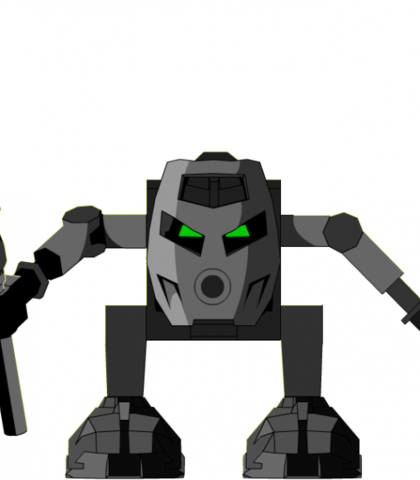 Like all Le-Matoran, Kongu is a fast talker. There is an air of seriousness to his voice, however. Matau stolen, Lewa gone! Le-Koronans prepare for battleflight! 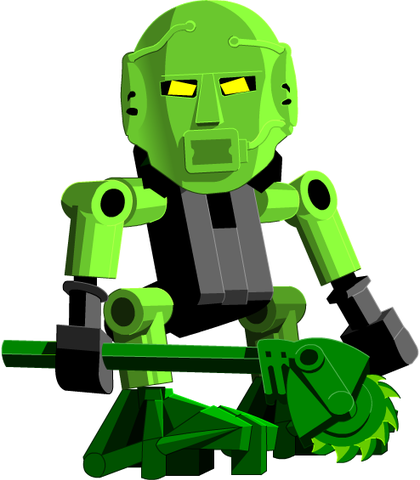 Kongu, fastest leaf-runner! Everquick pilot! Weaver, mapmaker! 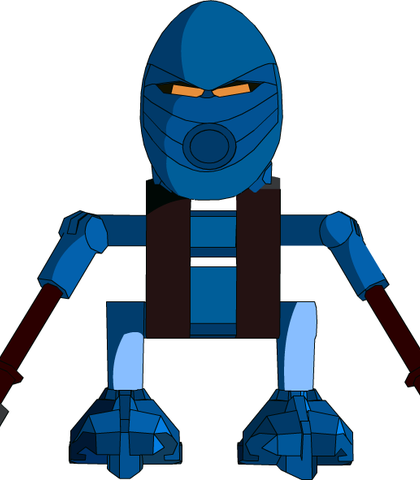 Le-Koro Matoran! Are you here to help in the defense, traveler? Le-Koro needs brave windriders to face the rama! Sounds roughly as she did in the Mask of Light film. 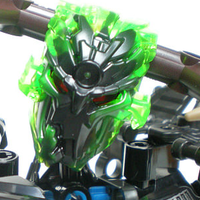 Your eyes are filled with questions about the mysteries of Mata Nui my friend. Giving you some of the answers you seek is small payment for your deeds, but I offer you what knowledge I can. I think someone has plans for you that are greater than your stature would suggest. 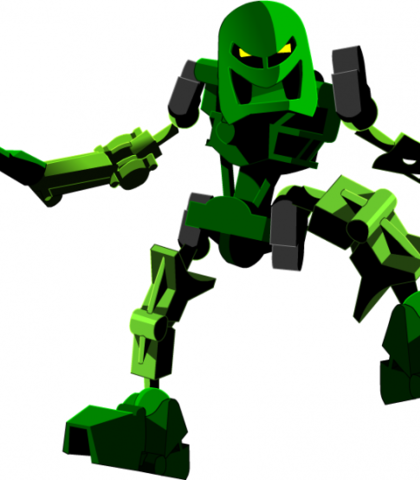 Perhaps you are to be a hero like the Toa. 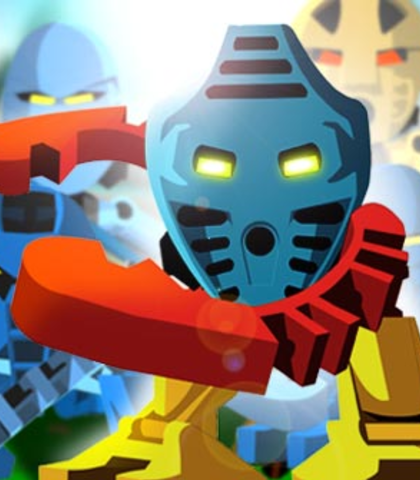 Like all Le-Matoran, Tamaru is a fast talker. I am Tamaru, highfly woodsman and deepwood wayfinder! Of great help to you I can be! With such Company, Makuta-beasts have much to fear! I shall never see sing-song Le-Koro ever again. Oh, woe! Kapura maintains a calm, even voice at all times. But I know the Makuta is here now, in these burnt trees, and in the dead soil. 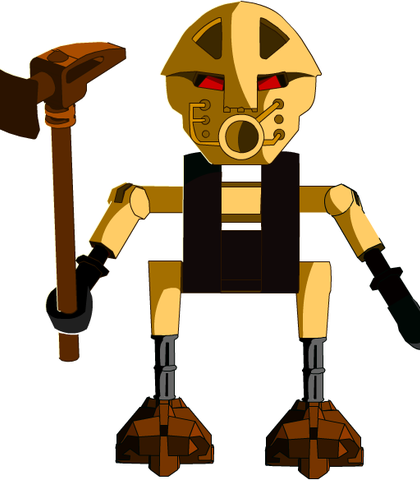 All of these things were destroyed by Makuta, but he never left them. That is how he becomes strong. 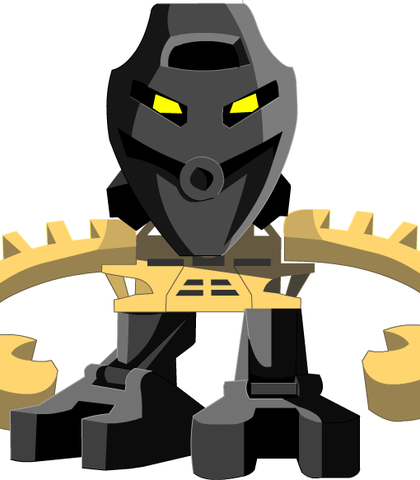 That is what the Makuta does. He destroys things. If you practice, you can move quickly. I will stand with you, Chronicler. No matter what. Little one, you are brave indeed, to have come all this way. And I see you have gathered help from all the villages around! Before I go, Chronicler, know that there is a bond between us. Your struggles and those of your friends will be much to bear. I shall be with you in heart. Heed us, Chronicler! We step, now, through the gates of doom. Our link is broken. If you wish to fulfill your destiny, and record the last moments of this time... you must find us. FIND US! Maku is rather energetic and fiesty. Please, there is no time. My people are in great danger. Will you help me? It is good to be on an adventure with you again! I thought Nokama would keep me locked up in the village forever. I heard Huki was sick, and that you helped him become better. Thank you! I mean... that is, I'm sure the Po-Koronans are glad to have him back. Hafu is incredibly boastful and proud, and as such would have an egotistical air to his voice. If you're looking for Po-Koro, traveler, take the right road. My right. Or is it your right? Who am I to deny fame and glory, even if I do not last to see it? Nixie speaks in a very calm, soft manner. The heavens are in turmoil, and I must chart their fluctuations. 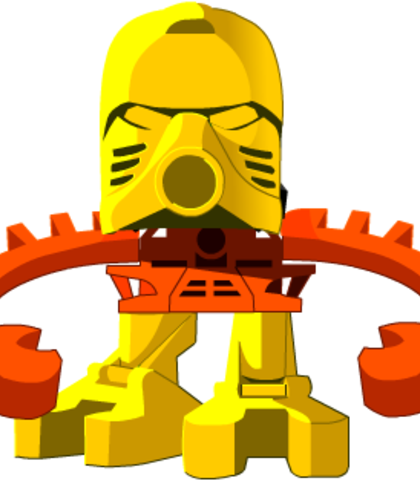 Many important things are happening around Mata Nui, and many more will happen. I use the telescope on the cliff. It tells me what will happen, and when. If something changes in the sky, it is my job to change the pictures, so that I can better see the future. 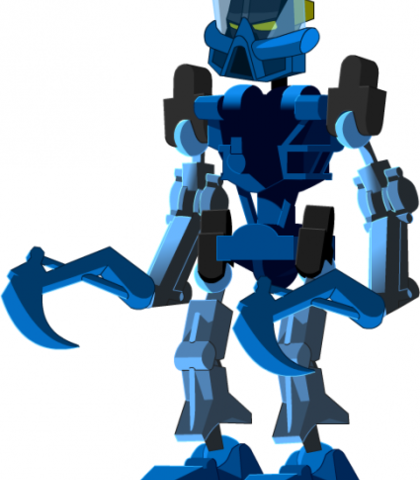 Even though we Matoran remember the prophecies, nothing is certain... the future can change. 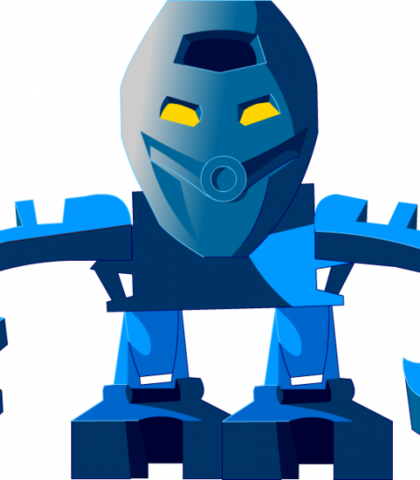 While soft-spoken, Matoro is far more socially adept than most Ko-Matoran. I will translate Nuju's words for you, traveler. Nuju's question is this: To what place will you lead the alliance? Jala is overly serious and speaks in a clipped, firm manner, befitting of the captain of the Ta-Koro guard. You look stout, traveler... you should consider a career in the guard. 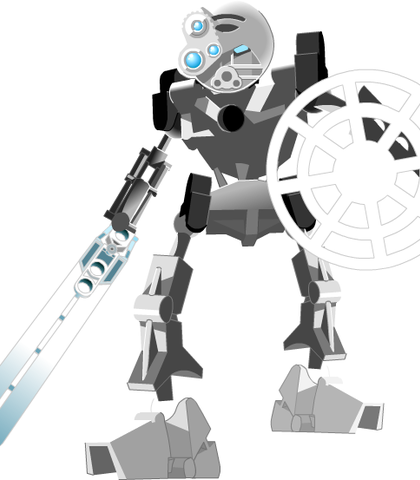 May Tahu protect you, traveler. You have come at an unhappy time in Po-Koro, I fear. I am about to announce to my people the news that the next Koli match will be canceled. I do not think even great Pohatu could play Koli at a time like this. I wish you the speed of Pohatu, adventurer. (Confused) What? But this is just a Koli ball..